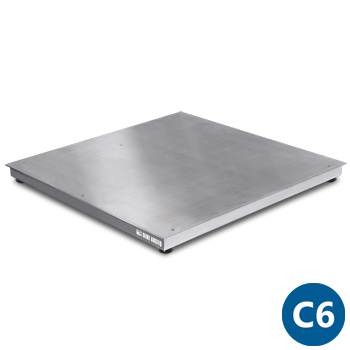 Electronic STAINLESS STEEL weighing low profile platforms with removable loading plate fitted with IP68 STAINLESS STEEL C6 approved load cells. Suitable for creating scales and electronic weighing systems for all types of industrial and commercial applications. Available in high resolution and suitable for ATEX zones. 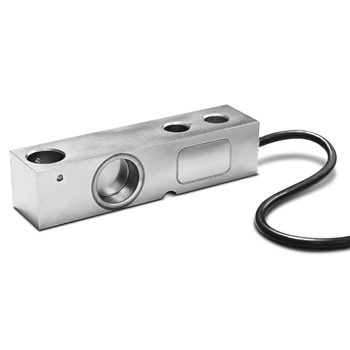 Fitted with 4 STAINLESS STEEL shear-beam C6 load cells each with 350 Ohm input resistance. OIML R60 approved and protection against dust and immersion according to IP68 standards. Stainless steel bearing tubular structure, with removable stainless steel plate and IP67 junction box housing. 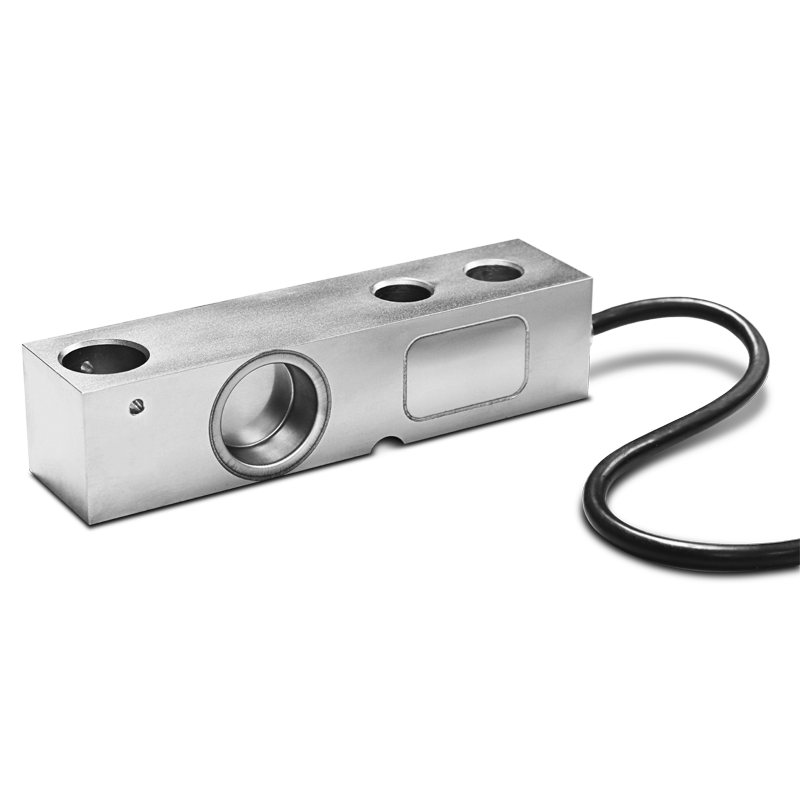 Adjustable, stainless steel shock-proof jointed feet and integrated level. Shielded 5m long 6-pin cable for connection to a weight indicator. Calibration with CE-M single or double range approval. AVAILABLE ON REQUEST: reinforced version for weighing of concentrated loads (coils, forklifts ecc.). Column support for weight indicator. Frames for flush floor installation. Models with special sizes and capacities on request. (**) Multi interval version available only 3000+3000e. ECEM2INT CE-M Single platform legal for trade multi interval approval (3000+3000e). ETHR High resolution model for internal factory use. ETATFI Stainless steel frame for flush floor installation for ETAI platforms. ETMTFI Stainless steel frame for flush floor installation for ETMI platforms. ETBTFI Stainless steel frame for flush floor installation for ETBI platforms. ETDTFI Stainless steel frame for flush floor installation for ETDI platforms. ETETFI Stainless steel frame for flush floor installation for ETEI platforms. ETFTFI Stainless steel frame for flush floor installation for ETFI platforms. ETHTFI Stainless steel frame for flush floor installation for ETHI platforms. ETLTFI Stainless steel frame for flush floor installation for ETLI platforms. ETKB Ball joints kit in stainless steel for pit frame ETxTF and ETxTFI. 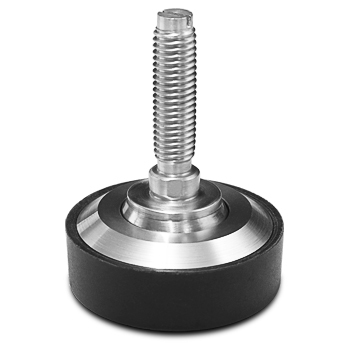 This accessory can be used in substitution of the standard plates. It allows the platform to swing and to settle, improving the weighing performance. 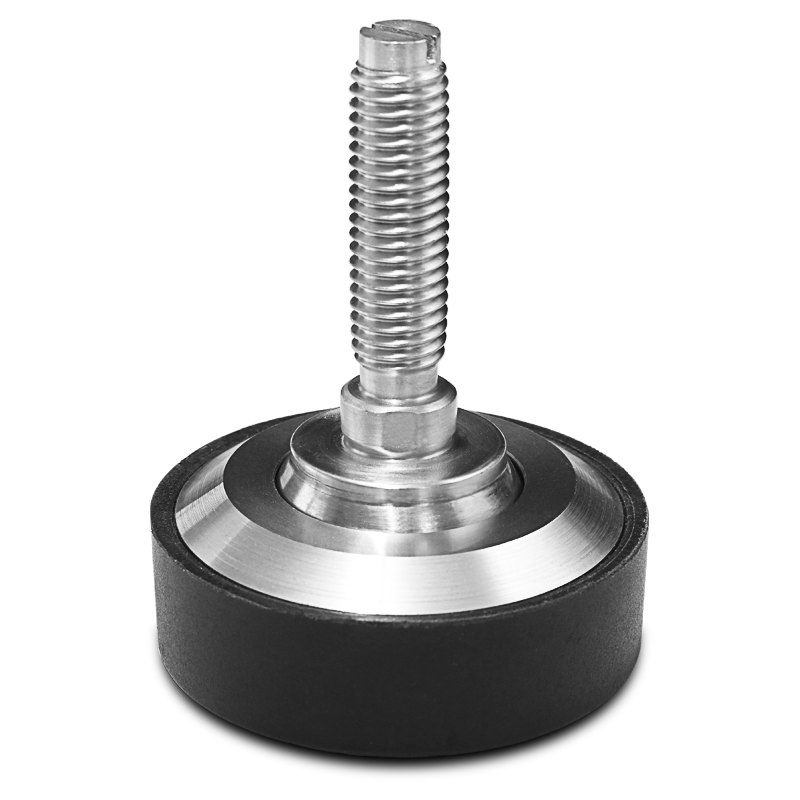 Compatible with platforms with load cells up to 2000 kg. ETARI Stainless steel ramp, 1000x900mm, for ETAI and ETMI platforms. ETBRI Stainless steel ramp, 1250x900mm, for ETBI platforms. 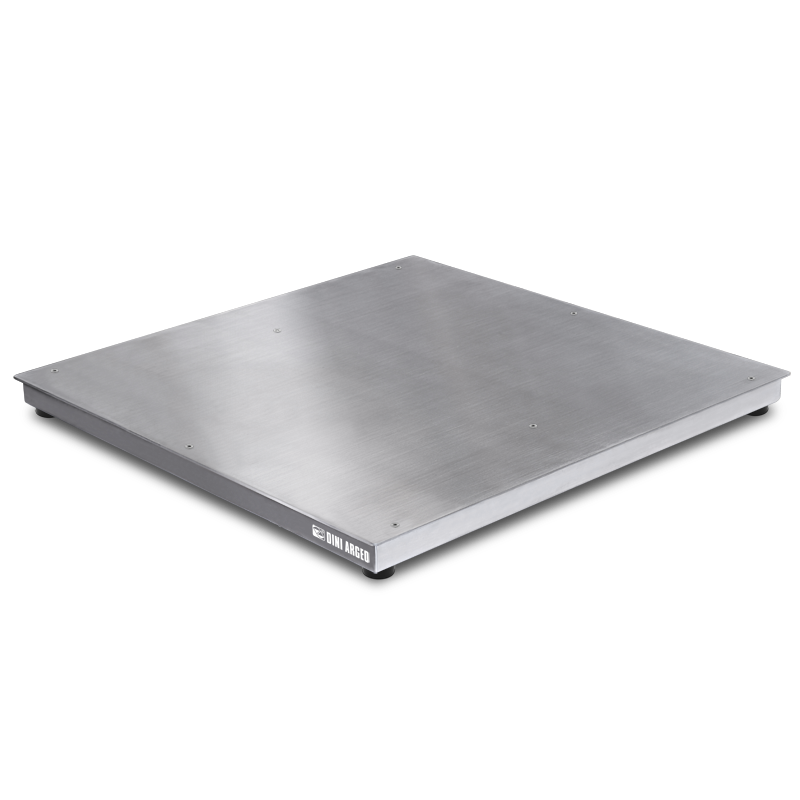 ETDRI Stainless steel ramp, 1250x1100mm, for ETDI platforms. ETERI Stainless steel ramp, 1500x1100mm, for ETEI platforms. ALWAYS MAKE SURE THAT THE RESULTING INCLINATION OF THE RAMP IS COMPATIBLE WITH THE SPECIFICATIONS OF THE VEHICLES USED FOR LOADING AND UNLOADING. ETPFI-1 Kit of 4 plates for fixing on the floor, in stainless steel. For platforms ETG, ETH, ETL, ETA, ETM, ETB, ETD, ETE, and ETF series. CD3 ISO 9001 DINI ARGEO calibration report, from 1501 to 6000kg. ACCREDIA reference weights. CD4 ISO 9001 DINI ARGEO calibration report, from 6001 to 20000kg. ACCREDIA reference weights.